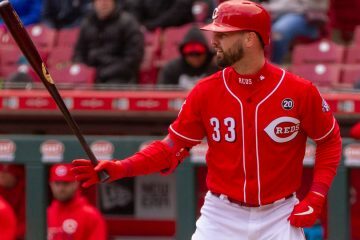 During the offseason, the Reds made only one major-league signing, and it was hardly a big move. On November 20, the team inked Blake Wood, a relatively unknown 30-year-old right-handed reliever, to a one-year deal worth $600,000. While there was certainly upside in Wood and his power arm, the move got little fanfare, as heÃ‚Â had pitched in a mere nine big-league games after undergoing Tommy John surgery in May of 2012. Spring training didn’t do much toÃ‚Â rid any doubt, either. Wood allowed 10 earned runs onÃ‚Â 21 hits and six walks in 13 innings, though he still made the club on Opening Day. He started off the regular season well enough, not allowing a run in his first five appearances, one of the few members of the Reds’ bullpen who didn’t get off to a disastrous start. He then allowed runs in five of his next seven outings, ending the month of April with a 4.50 ERA and more walks (8) than strikeouts (5). SinceÃ‚Â the calendar turned to May, however, things have turned around for Wood. While his walks have remained a bit too high for comfort and get him into some trouble, he has cut down the rate at which he’s given up free passes fromÃ‚Â 17 to 12 percent. What has really made the difference for him isÃ‚Â his strikeouts have gone way up, reaching well above-average levels. Over his last 23 1/3 innings, Wood has struck out 28 of the 99 batters he’s faced (28.3 K%). As a result, his ERA sat at 3.31 in May (and that was mostly inflated by one bad outing against the Mariners in which he gave up four runs without recording an out) and he has given up just two runs in June. Bryan Price has shown more and more faith in Wood as the season has worn on, sending the right-hander to record more than three outs regularly. 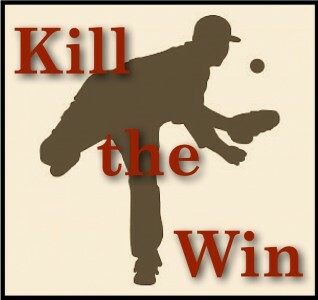 He has thrown more than one inning 10 times and thrown two full innings five times. Wood has also yet to give up a home run this season. In fact, he hasn’t allowed a ball to clear the fence in his last 63 2/3 major-league innings, the longest active streak in the game. One of the big reasons for this is that he boasts a ground-ball rate of 60.9 percent, 14th-best among the 154 relievers with at least 20 innings pitched and the best rate he’s ever had at the major-league level. For his work, WoodÃ‚Â has an impressiveÃ‚Â 3.03 FIP, easily the best among Reds relievers. Not all of the advanced numbers are in agreement on him, though, as his xFIP is a full run higher at 4.06, with the difference due to a home-run-to-fly-ball-ratio (0.0 percent) that is well below league average and unlikely to be sustained. His SIERA is also quite a bit higher than his FIP, sitting at 4.03. All of that has resulted in a 0.5 fWAR for Wood, making him one of only two Reds relievers to be above replacement level (the other being Josh Smith, who has a 0.1 fWAR). What about his game has made him successful? The thing that immediately jumps out is Wood’sÃ‚Â velocity. His four-seam fastball isÃ‚Â averaging 95.6 mph and has topped out at 98.7, according to PITCHf/x. The slider, his second-most used pitch, is also thrown very hard, with anÃ‚Â 89.2 mph average velocity, the ninth-hardest in the majors on that specific pitch. He doesn’t have great whiff rates on either pitch (6.6 SwStr% for the fastball, 12.2 for the slider), but those numbers have risen as his stuff has gotten better throughout the year. The pitch that does have a great swing-and-miss rate has been his changeup, which has gotten whiffs 20 percent of the time, though it is his least-used offering, thrown 6.7 percent of the time. Although Statcast has only registered him throwing the changeÃ‚Â 23 times, it has the lowest average spin rate in baseball at 719 rpm — which is a good thing for that particular pitch. In spite of shaky command, Wood has emerged as one of the more dependable arms Bryan Price can turn to in the late innings with a Reds bullpen that’s been largely terrible this season. The walks are a definite red flag and when he gives up runs, they’re usually the reason why. In the 17 games that he hasn’t issuedÃ‚Â a walk, he’s allowed only three earned runs, as opposed to 10 earned runs in the 14 games that he has surrendered a free pass. But with a strikeout rate that’s climbing and one of the best ground-ball rates in baseball, there are certainly reasons to be encouraged by what the 30-year-old has done on the mound.Ã‚Â When he has his best command, he certainly has the ability to be a greatÃ‚Â reliever. All stats used are as of June 14, 2016. 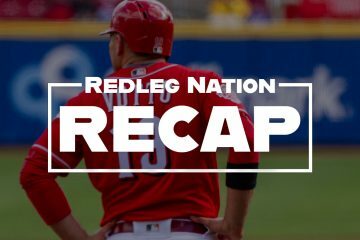 Titanic Struggle Recap: Welcome back, JJ Hoover! He has great stuff but he must throw strikes.Not giving up homers is odd for a guy that throws so hard but it shows hitters can’t get the barrel on the ball.Throw strikes,throw strikes and throw strikes.When he does he is dominate. Most of the guys in the Reds pen right now must feel like professionally they are living on the green mile waiting for their name to be called out. A starter will almost certainly be called in for Saturday. Barring setbacks, Lorenzen almost certainly and probably Iggy will be activated by the end of this month. Bailey is likely back at the ASB or shortly thereafter. Then there is the building imperative to get Stephenson and/ or Reed up to the big team; and, it seems probable rotation bumpees will get shots in the pen versus being moved. Even more than Cingrani and Ohlendorf, Wood seems to be elevating his game to reach the higher ground. I just hope the reds don’t extend him for big $$. I get nervous when analytical measures say he should be a 4 ERA pitcher. Wood still has three years of arbitration before he is a free agent. I can’t imagine he’ll get big bucks in arbitration, but he’ll get a raise. Alex, I’ll take Didn’t See That Coming for $300.